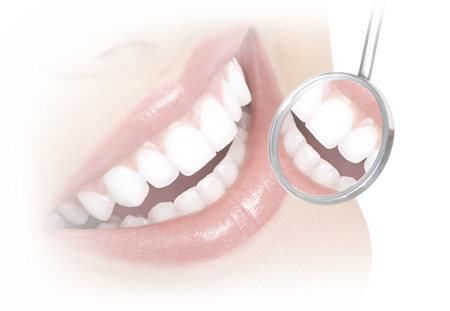 National Dental Care is one of the best dental implant center in Hyderabad. We want everyone to feel welcome and respected once they trust us with their smiles. We've worked exhausting to form an atmosphere wherever our patients feel comfortable and valued, whether they are here for ongoing preventative care or for services like dental implants or soft tissue therapy. When you become a patient at our office, you can rest assured you’ll receive professional dental care. If you need over a routine health check, we can assist you arrange out your treatment. Once any problems are addressed, we’ll assist you maintain the health of your teeth and gums. You’ll gain the information you would like to require an active role in your oral health and maintain it at the very best level doable. We provide root canal treatment in Hyderabad and the leading dental clinic for dental surgeries like orthodontist, exodontists, endodontists for pediatric & adult teeth whitening, lamination, extraction etc. Our services are routine dental checkups, cosmetic dentistry, root canal treatment, Dental implant with top dentist in Hyderabad. In this clean your teeth by removing plaque and tartar, and complete a thorough examination of your teeth, gums and other orofacial structures. We make a special effort to make sure children and their parents feel at ease from the moment they arrive at our office. We can perform a variety of cosmetic dental procedures to improve your smile. Investing in a dental implant is a smart way to restore the natural function and appearance of missing teeth. Crowns are placed over a tooth to restore its shape, strength and size after a root canal is performed, to cover a broken, cracked or weak tooth, to cover an implant, or to "anchor" teeth that support a bridge. Imagine having your next dental filling completed with no injections, dental drill or lingering numbness! Endodontic treatment is necessary when a tooth has experienced nerve damage, deep infection, cracks or an abscess. After years of concealing my smile behind my hand, I can now smile confidently. Thank you, National dental care for giving me a bright new smile. I really like my ceramic ware veneers- they appear and feel so natural. Thanks so much. Today I'm extra cautious concerning brushing and flossing daily because I'm happy with my teeth and that I need them to stay looking good. it is also the best manner I will consider to show my respect for National dental care. Took my kid there for cavity filling. The complete process went very smooth. National Dental care made my child super comfortable and finished the procedure very efficiently. I am very proud of the end result and also the compassion demonstrated by the folks there. I strongly recommend National Dental Care.